Unlike dentures, dental implants become part of the jawbone and adjacent architecture supporting your real teeth. Patients opting for dental implants instead of dentures will never experience the chronic gum irritation, the redness caused by inflammation, denture sore mouth are often some complaints of long-time denture wearers, not to mention the embarrassing looseness of ill-fitting dentures. There are several types of implants and implant systems which can be used to secure dentures. Several of these systems provide “snap-in” denture stabilisation so that your dentures stay in place and can be removed for cleaning and care. 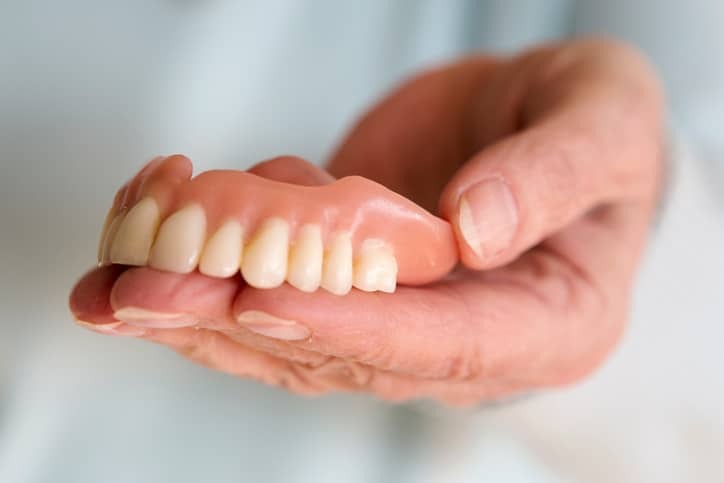 These are usually more affordable than non-removable options, and are ideal for denture patients. There are other implant-supported systems that are more permanent in nature (not removable by the patient), which provide additional support and natural-tooth functionality. These denture solutions range from fixed screw-retained denture systems to higher-end screw-retained zirconia tooth replacements. There is also a range of options where implants are used with a single crown or a dental bridge to replace one or more missing teeth. This provides a very healthy and permanent long-term solution to replace missing teeth. Dental implants can be seen as a long-term investment not only in terms of money, but also in terms of quality of life. A dental implant is the option available that most resembles a natural tooth. In addition to allowing the patient to eat the same healthy foods he or she has always enjoyed, it also eliminates the day-to-day hassles and possible embarrassment that are frequently caused by dentures. There are health care credit companies that offer no-interest and low-interest loans for medical procedures including dental implants. Please get in touch with our office and we can help you get connected. The only way to receive an accurate price quote is to call us and come in for a free consultation, and we can give you a specific price for your case. Please contact us to schedule your consultation at the Dentist Collingwood clinic in either Camberwell or Collingwood.